“I saved for a year in hope to find the perfect one – but living in Scotland there didn’t appear to be any for sale due to the rarity of the specific model I was interested in. Finally, I made the journey to London to see a car I had only seen pictures of the internet, which was a bit of a gamble! 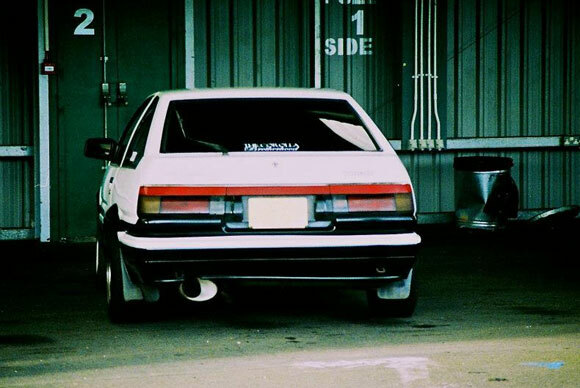 “It turned out to be a gamble worth making, because as soon as I saw the car I knew I wanted it. The test drive was amazing and I was like a kid at Christmas. “But after forking out the cash, there was an agonising wait. Due to winter’s terrible weather I didn’t want to risk transporting it from London to Scotland, and it was six months before I finally had it delivered. “Then came the surprises. It was pretty modified when I first got it, It turned out to have engine work done, which was a bonus! It’s fitted with large HKS camshafts so it sounds amazing. There was also a TRD suspension kit and various bolt on bracing parts, designed to sharpen the handling. Someone had also added twin 45 webber carburetors, so it had a real induction roar to it too. 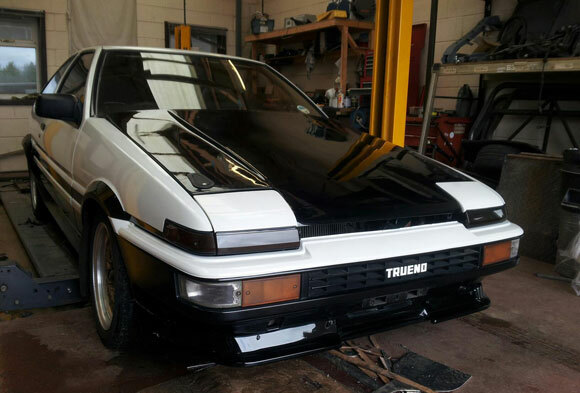 “I have since had to ditch the carburetor set up… I have reverted to the factory fuel injection system as it was my daily car it was using an immense amount of fuel. I’ve upgraded the suspension too, which has been changed to expensive Driftworks CS2 coilovers. The rear arches were widened to fit wider back wheels and I’ve also fitted a carbon fibre bonnet which I painted black to match the colour scheme. Your story could help other Toyota buyers make a decision on buying a new car, and you could even end up star of one of our films. Beautiful car! 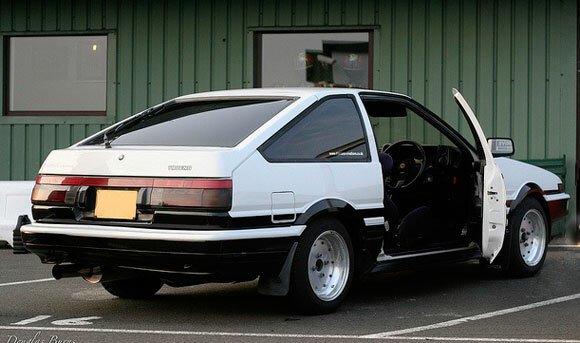 The AE86 and then the Trueno have been on my wish list since ever but the closest I could come to it was owning an AE81 which too is a Sprinter. 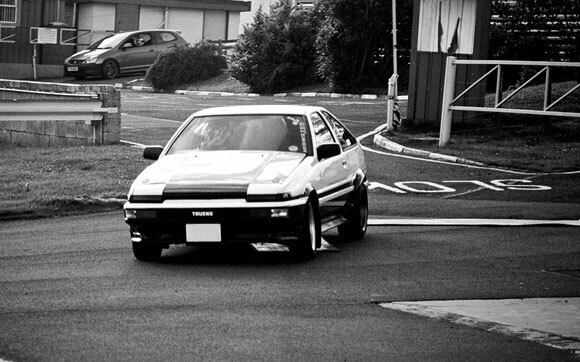 That is a lovely car itself but I hope I can own an AE86 someday myself. Your Local Dealer should have a new Auris by December the 3rd however we’d suggest giving them a call to confirm. We will be sharing further details about the new Auris as and when we can here (still due to be released), on the Toyota Blog, so do keep checking back for the very latest news.